Chuckley Pear blossoms in Flatrock, Newfoundland (June 10, 2015). …so I’m adding Chuckley Pears to my list of honey bee friendly flowers (in eastern Newfoundland, at least). As with most wild berries, it goes by several names: shadbush, serviceberry, juneberry, saskatoon berry, etc. 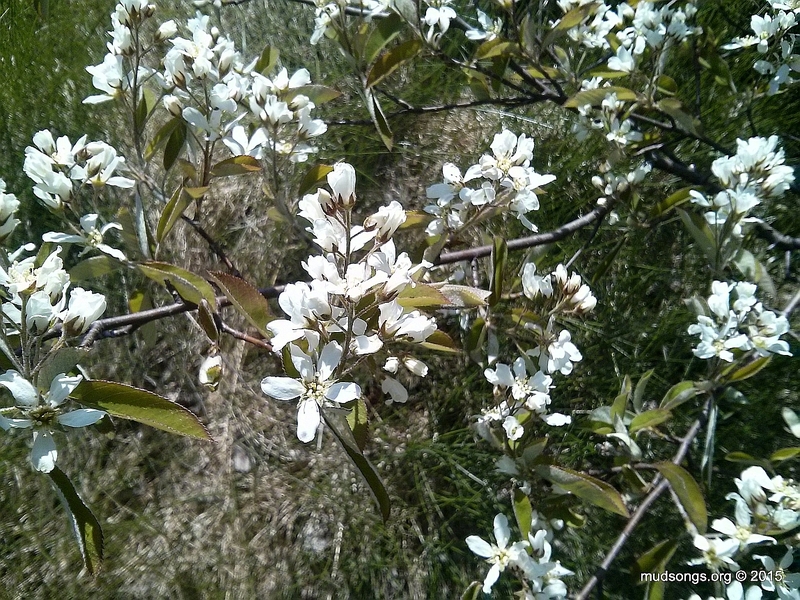 My 60-second Wikipedia research tells me the Chuckley Pear is called Amelanchier, though the particular species in these here parts is probably Amelanchier Canadensis. Thanks to everyone who identified the blossoms for me. 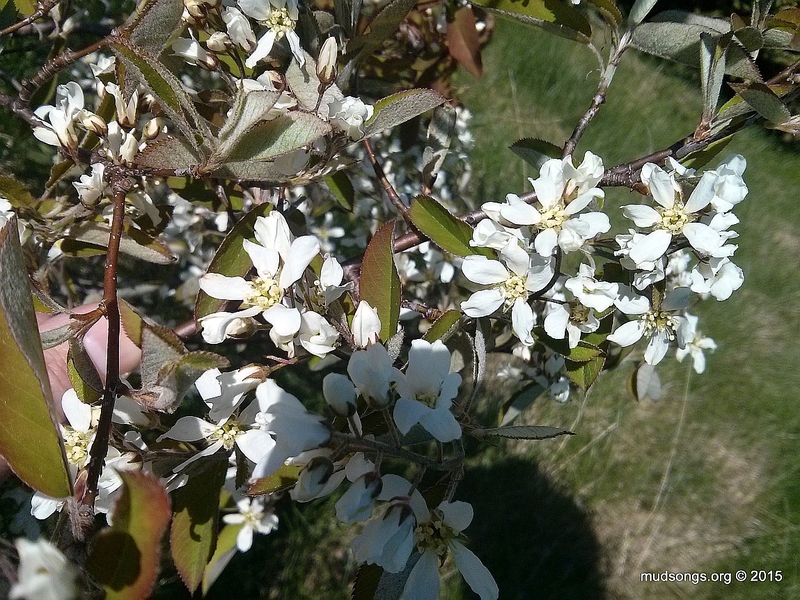 This entry was posted in Chuckley Pear, Flowers, Month of June, Year 2015 and tagged Newfoundland Honey Bee Forage. Bookmark the permalink. I saw the bees bringing in white pollen today. Until now it looked like they were living mostly off dandelions. But the dandelions are starting to die off, so I’m guessing the bees are making the switch to chuckley pears blossoms which I see more than any other white flower where I’m living now.